Tue., March 27, 2018, 11:46 a.m. 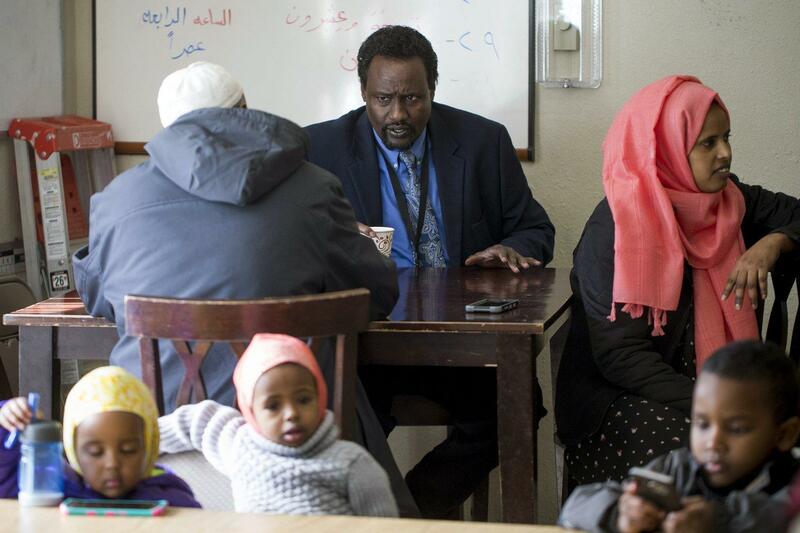 In a SeaTac gathering place for Somali refugees, the stories poured forth — of people left behind, of hopes to bring them here. Rahmo Omar, a 35-year-old who has trouble walking due to polio, talked of a cousin who looked after her in a Kenyan refugee camp. Fadumo Ibrahim said she is waiting for three sons in their 20s, also refugees in Kenya. Fadumo Ibrahim, a Somali refugee in SeaTac, has three adult sons in a Kenyan refugee camp hoping to join her. Indeed, Trump has frequently voiced suspicion about Muslim refugees in general — pointing to assaults and terrorist attacks in Europe, some involving recent arrivals. Debates here, in Europe and in Canada rage about how to guard against dangers while providing humanitarian relief. Trump succeeded, however, in blocking most refugees from 11 countries — including Syria, Iran, Iraq and Somalia — for 90 days. That period ended in January, but the administration then imposed heightened security screenings of refugees from those countries. Washington, it turns out, has not seen as sharp a drop in arrival numbers as other states — at least when you factor in those coming here on “special immigrant visas” reserved for people who worked for the U.S. government. Drawn to the state in part by support from local soldiers and veterans, Afghans with such visas continue to settle here in large numbers: 558 so far this fiscal year. Including such visa holders, about 1,200 refugees have come to Washington in the last six months — more than to any other state besides California and Texas. “I think the bigger story here is who is coming,” said Sarah Peterson, head of Washington‘s Office of Refugee & Immigrant Assistance. “Every night, they call me and ask me, how is life in America?” Mohamed said. They are no longer sure they’ll ever find out for themselves. But the situation is more dangerous there, Saydo said. While ISIS’ stranglehold on the city is gone after ruinous fighting, the terrorist group is still around. Adhering to the Yazidi religion, his family faces particular risks. Long-simmering tensions with Turkey also pose a threat, according to Saydo. Published: March 27, 2018, 11:46 a.m.